There are Americans who served in the FBI, the military and other services who claim John Brennan is a Muslim who converted to Islam while serving as CIA station chief in Saudi Arabia. During his tenure as the Director of Central Intelligence (the true title given to the top spy), John Brennan entered the cauldron of the CIA’s descent into political corruption within the Obama administration as was planned by the Deep State. However, the Democrats on the Senate Intelligence Committee — a part of the legislature that was supposed to be beyond partisan politics — demanded an investigation of George W. Bush’s allowed interrogation tactics in the early days following the horrors of Sept. 11, 2001. In December 2014, Sen. Dianne Feinstein and the Democrats on the Senate Intelligence Committee released a report claiming the interrogation methods used by the CIA in the months after the Sept. 11, 2001 attacks were “brutal and far worse” than the agency had represented to lawmakers. Many working in the intelligence community, the military complex and in law enforcement said the report was heavy on denigrating the CIA and the war on Islamic terrorism under President George W. Bush, but light on facts to back up the assertions. “While Democratic Party politicians are always first in line to attack and denigrate our military, police, security and intelligence communities, I still find it hard to stomach the language they use and the accusations they make regarding the nation’s protectors,” said former military intelligence operative Mike Snipes. “They have called them ‘Nazis’ or ‘Gestapo,’ compared them to the Ku Klux Klan or the Islamic State of Iraq and Syria (ISIS) without one bit of hesitation,” said Carol McKenzie, a former police detective. “Mr. 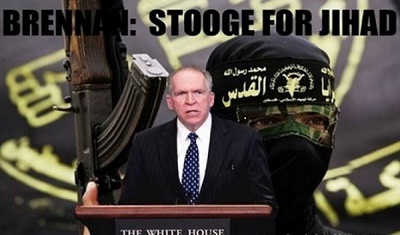 Brennan is, at best, willfully blind to the threat posed to homeland and national security of the United States by those who adhere to Shariah law,” said Tom Trento, director of Florida Security Council, who has been critical of Brennan’s service in the Obama White House. Some of the nation’s top intelligence, military, national security and law enforcement experts once loudly called for Homeland Security Advisor John Brennan to resign from his post or for President Barack Obama to fire Brennan from his White House staff. Instead, Obama named him to replace another political hack and Clinton sycophant Leon Panetta as CIA chief. Tom Trento is one of the leading academic activists in the United States. A highly skilled debater and dynamic public speaker, Tom frequently goes toe to toe with Muslim Brotherhood representatives exposing their radical agenda to the public and elected officials. Mr. Trento with earned degrees in Law Enforcement and Philosophy and Theology was awarded the The Carnegie Hero Medal Award for saving a man from a burning car. 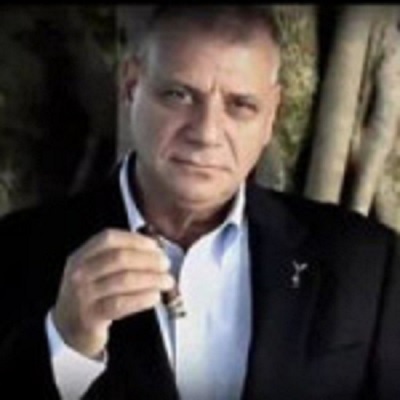 Mr. Trento has traveled extensively throughout the US and Europe lecturing and exposing Islamic violence and infiltration in government, law enforcement and academic institutions. He is one of the co-authors of Shariah: The Threat To America and appears frequently on major media outlets and talk shows as an authority on Islamic ideology. During a press conference in September 2010 at the National Press Club in Washington, DC on Thursday, respected experts, including officials from the Florida Security Council, told reporters that because of Brennan’s adherence to the politically-correct orthodoxy that permeates the Obama administration the U.S. government is being prevented from identifying, understanding and countering radical Muslims and their threat of imposing Sharia law. Brennan was part of the White House clique that included Valerie Jarrett, Susan Rice, Ben Rhodes, and others who were never elected by the voters and yet basically ran the United States government. Frank Gaffney, a former Assistant Secretary of Defense during the Reagan administration, and others claim that Brennan dismissed Sharia even though evidence exists that it’s a supremacist, totalitarian legal doctrine that leads to terrorism, torture, abuse of women and young girls, and other horrors. A major piece of evidence that points to the dangers associated with Brennan’s failure to perform his primary function – to know the enemy and its threat doctrine – came to light when analysts at the Florida Security Council discovered that a known Hamas operative and unindicted co-conspirator in the largest terrorism financing trial in U.S. history (the Holy Land Foundation case), Sheik Kifah Mustapha, participated in a six-week-long, government-sponsored “Citizens Academy” hosted by the FBI as part of its outreach to the Muslim community. During the six-week FBI program, Mustapha – a man tied to an officially designated terrorist organization – was escorted into the top secret National Counterterrorism Center and other secure government facilities, including the FBI National Academy located on the Quantico, Virginia U.S. Marine Base. Terrorism expert Steve Emerson, director of the Investigative Project on Terrorism, exposed Mustapha’s appointment in Illinois to a post as a State Police chaplain. However, according to Illinois officials, the appointment was revoked in spite of the protests of the Council on American-Islamic Relations. “Deputy National Security Advisor John Brennan must resign his post immediately,” said Mr. Gaffney, whose Center for Security Policy released a report entitled, Shariah: The Threat to America. “Mr. Brennan is, at best, willfully blind to the threat posed to the homeland and national security of the United States by those who adhere to shariah. In the wake of this recent episode at the National Counterterrorism Center, in which the FBI gave a guided tour of one of our most sensitive counter-terrorism facilities to a known Hamas operative, it is clear that the cluelessness fostered by Mr. Brennan is causing an empowering of the wrong sorts of Muslims in America – and endangering the American people,” said Gaffney to reporters. ← The Border Battle: Immigrants Attempt to Force Their Way Into the U.S.